The UK Government has released its long-anticipated Emergency Budget, outlining several important changes to the national tax system, including increase to Value Added Tax (VAT), Capital Gains Tax (CGT), and a new Bank Tax. 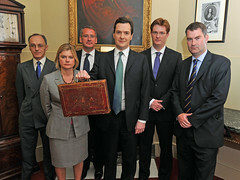 On June 22nd the UK’s Chancellor George Osborne presented the national Emergency Budget. The new Coalition Government’s budget aims to bring the UK out of its current recession, and address the country’s growing deficit and cut it to a neutral level. In regards to business taxation, the budget statement was headlined by the announcement of a reduced corporate tax rate. On April 1st 2011, the current 28 percent corporate tax rate will be cut by 1 percent. An additional three 1 percent cuts will be carried out for the next three years, ultimately bringing the tax rate to 24 percent. The Government has also confirmed that it will instate a Bank Tax in the UK, taking effect from January 1st 2011. The new tax will be levied on the adjusted balance sheet of national banks, building societies and foreign banks operating within the UK, and is expected to raise GBP 2 billion (approx. USD 2.68) annually. The Government has also committed to carrying out an investigation on possible reforms to the treatment of research and development activities carried out by national businesses. Additionally, the Government has pledged to engage in consultation on possible new measures to battle tax evasion, with the intention of implementing new legislation by April 2011. The Government has confirmed that increase to the levied rate of National Insurance Contributions (NIC) will not be carried out, and a NIC-holiday system will be created for new businesses. Under the holiday scheme, new businesses in selected regions of the UK will not be required to pay the first GBP 5 000 (approx. USD 7407) of its employer NIC contributions for the first 12 month of employment for newly hired staff. The exemption will only apply for the first ten staff members hired in the first year of the business’s operation. Contrary to media predictions, the Government will not lower the payment threshold on CGT, leaving it at the current level of GBP 10 100. However, the CGT rate will be increased by 10 percent to a level of 28 percent, for gains made after June 23rd 2010. The increased rate will only apply to individuals with total taxable incomes and capital gains in excess of GBP 37 400 (approx. USD 55 404). The Budget also confirmed the widely-expected VAT rate increase. From January 4th 2011 the VAT rate will increase from 17.5 percent to 20 percent. The VAT-base will not change, with no alterations to exempt and low-rated VAT items. The move is expected to raise an estimated GBP 54 billion (approx. USD 80 billion) over the next five years.